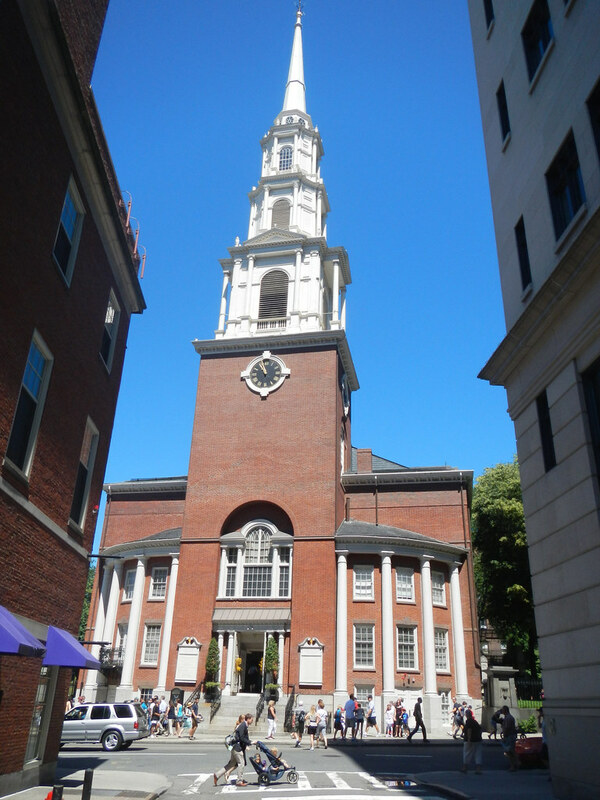 Park Street Church was built in 1809 on a site between the Boston Common and the Granary Cemetery—juxtaposed between this life and the next. Designed by Peter Banner in a style reminiscent of Christopher Wren’s, its 217-foot steeple was, for many years, the tallest point in the city of Boston. 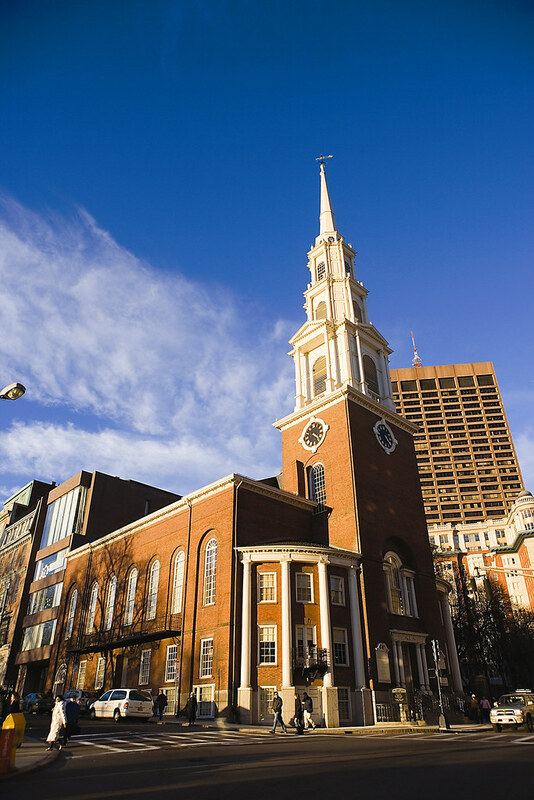 Park Street was established in 1809 by members of other Boston churches who wished to preserve Trinitarian theology during an era of growing Unitarianism. 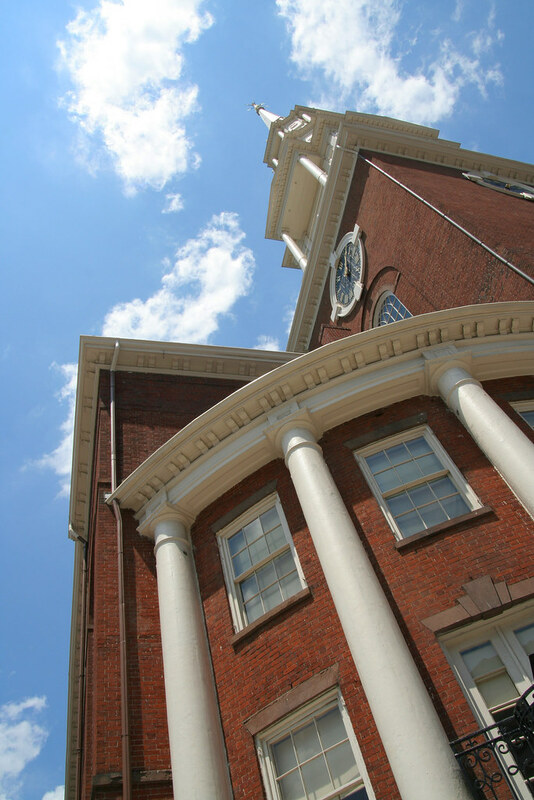 Since then Park Street has remained a theological leader: its ministers were involved in the formation of three seminaries (Andover-Newton Theological Seminary, Gordon-Conwell Theological Seminary, and Fuller Theological Seminary) and the National Association of Evangelicals. Today approximately 1500 people attend worship every Sunday, participate in over 30 local ministries, and support 22 full-time staff missionaries along with many other partial-support and short term missionaries. Although Park Street has a strong theological history, it is perhaps most known for its role in social justice and human rights. This congregation was among the first to grapple with prison reform, education, women’s suffrage, and anti-slavery. In 1816 Park Street established one of America’s first Sunday School programs, intended for working children whose only opportunity to learn to read was on Sundays. In 1826, Edward Beecher, the brother of Harriet Beecher Stowe, became pastor; three years later William Lloyd Garrison delivered his” Address to the Colonization Society” there, making his first major public statement against slavery. The Prison Discipline Society (America’s first prison ministry), the American Temperance Society, the Animal Rescue League (America’s first animal humane society), and the Boston Chapter of the N.A.A.C.P. all began here.